Its been a couple weeks since my last visit to City Newsstand here in Chicago. Tonight's visit couldn't have been planned out better. The British April issues filled the shelves. 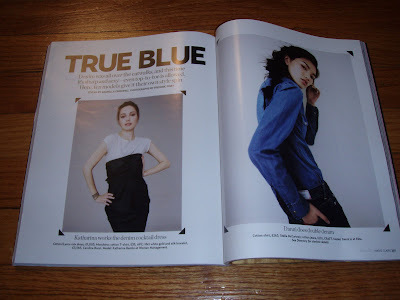 The British Marie Claire looked gorgeous with Diane Kruger on the cover and a wonderful denim editorial, True Blue. 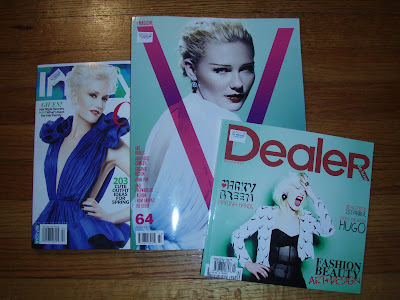 V and Dealer deluxe both used stunning pastel palettes for their April covers. And, really, I could not pass up Gwen in blue on the cover of In Style. Ha! 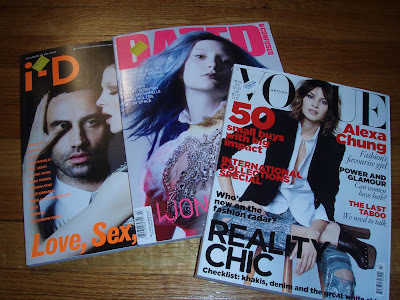 City Newsstand (the one in Evanston, though) gets a chunk of my paycheck every Friday.